Thea plunged into the trees following the sound, then skidded to a halt at the top of the bank at the unexpected sight of an exceedingly pert pair of male buttocks. Very nice and very naked male buttocks. How often do you pick up a book because of the cover? I do it all the time. It’s what makes me take the time to look at the description, read the first few paragraphs, and, if I like all that I see, decide to buy it. So, is it any wonder that covers cause us authors so much angst? They might even make us more nervous than writing the book itself. That’s because writing is an evolutionary process. It takes months to do, plus there are many rounds of editing. But the cover is the instant, one-and-only first impression your book will make. It’s like getting ready for a first date with someone that you really really want to impress! You’ve only got one chance. Some stories seem to find us. They seek us out. My fascination with Etienne Brulé is one of those stories — since Grade 8 Canadian History. But crafting the story out of the raw material of my fascination took years. We are all main characters in our own minds; in our own worlds. The people around us are the supporting characters. In some ways it’s an abstract concept. Welcome to my stop on the The Rock ‘N’ Roll. ‘N’ That blog tour. 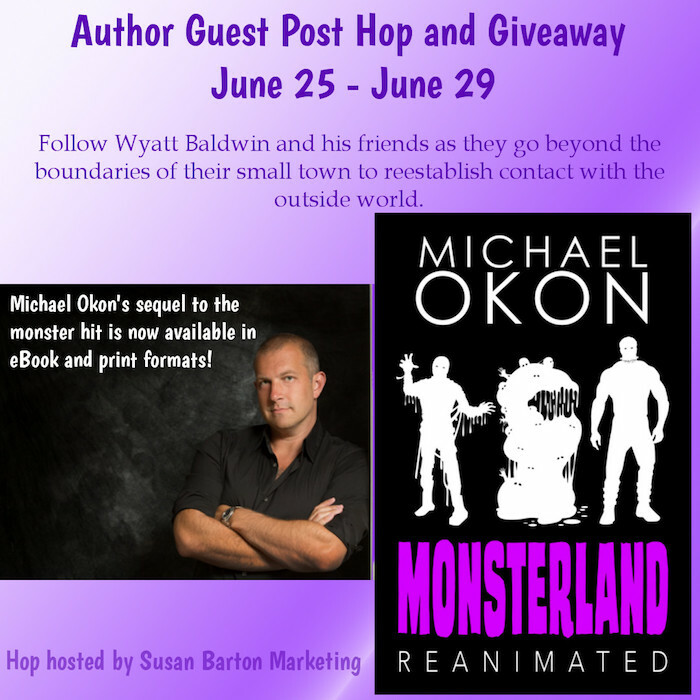 I have a guest post from Steven Gill to share, but first here’s the book info…. I’m delighted to welcome Diane May, author of EVO, with a guest post, but first here’s the book info. Today I’m delighted to welcome Elizabeth Orr with a thought provoking guest post, but first here are the details of Elizabeth’s book…. I’m delighted to welcome Glynis Astie back to Between The Lines. Glynis has written several wonderful guest posts previously including Tea and Harry Potter and The Philosophy of Yoda. Here, Glynis tells us about her first book boyfriend…..
It’s true what they say—you never forget your first. I remember it like it was yesterday. I took in his warm hazel eyes, his dark, curly brown hair and his beautiful boyish smile and I was done for. I think it’s always good to deliberate the impact of ‘distance’ (time and space) and its benefits in enabling a story (particularly those based on real events) to become far richer than if it had been written at the time of the novel’s setting. Hindsight can be a wonderful thing. To see how places and people evolved over time after the novel setting can give a more informed perspective on the real significance of those events brought to life in the novel, and their lasting impact on their environment. Ready for a shock? After penning three female-powered thrillers, writing THE THROWAWAYS from the male point of view isn’t a departure for me. It’s a homecoming. I started out writing men exclusively. I’m delighted to be part of the birthday blog blitz for Visions of Zarua, courtesy of Rachel’s Random Resources. Suzanne Rogerson tells us about Visions of Zarua’s unexpected route into traditional publishing…. First let me share a little of the history behind Visions of Zarua. It’s my debut novel, though I do have a couple of unsuccessful fantasy attempts hidden away. Back in 2013, I submitted it to a few agents and a publisher. Without finding any success with them, I decided to use a critique service to see where it was going wrong. The critique was spot on with the various issues in the book and I rewrote it into its current form. I’m delighted to welcome AnneMarie Brear, and join the blog tour for The Promise of Tomorrow, courtesy of Rachel’s Random Resources. AnneMarie tells us about the top five books of her childhood. When I was a child in Australia my mother owned a book shop, so books featured a lot in my life. I read from early on and have always loved books. 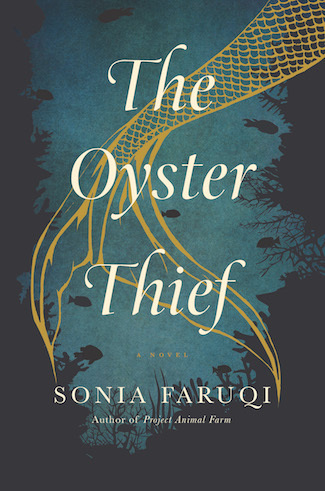 My guest today is Sonia Faruqi with a character’s perspective post and details of, plus an extract from, her debut release. Coralline is a mermaid who is engaged to the merman of her dreams. But when an oil spill wreaks havoc on her idyllic village life, her little brother falls gravely ill. Desperate to save him, she embarks on a quest to find a legendary elixir made of starlight. Izar, a human man, is on the cusp of an invention that will enable him to mine the depths of the ocean. His discovery will soon make him the richest man on earth—while threatening merpeople with extinction. But then, suddenly, Izar finds himself transformed into a merman and caught in a web of betrayal and intrigue. Meeting Coralline in the ocean, he decides to join her on her quest for the elixir, hoping it will turn him human again. The quest pushes Coralline and Izar together, even though their worlds are at odds. Their pasts threaten to tear them apart, while a growing attraction adds to the danger. Ultimately, each of them faces an impossible choice. Should Coralline leave her fiancé for a man who might betray her? And Izar has a dark secret of his own—one that could cause him to lose Coralline forever. American businessman Peter Hubley lays sprawled across the floor of a Brazilian airport, cappuccino dripping down what remains of his forehead. Within an hour, his killers are dead and their bodies stolen. When an organized crime syndicate claims responsibility for the savage murder, questions are raised and the case is assigned to Special Agent Nikki Benton. To Benton, a straight-laced FBI veteran, the Hubley case is an unusual and much-anticipated opportunity to prove herself and get out from under the thumb of her misogynistic boss. But she quickly realizes that nothing about it adds up and she may be in over her head. Her instincts prove true when her prime suspect Ben Siebert, a rebellious ex-Marine with a questionable past, is pressing a Glock 27 to her temple. The two are forced to work together when they learn that everything – the death of the killers, the public’s assumption Hubley was hiding something, even the case being assigned to Benton – was part of a carefully orchestrated plan…and that they are the next targets. But to stop a formidable perpetrator intent on killing thousands of innocent people, they must risk everything and reveal the shocking truth behind the Hubley case. It took me six years, but I did it: a novel on love, loss, deceit, and truth. It feels good and it feels right. Who knows? Perhaps the book I wrote may be as cathartic for you as it has been for me. I’m delighted to join the blog tour for Between Darkness and the Light and welcome Paul Mitchener with a guest post. Before I hand you over to Paul here’s the book info. It’s a young adult adventure published on the 14th March 2018 by Brown Dog Books. I love the cover! I’m delighted to be able to share a guest post from S C Cunningham, and an extract from Unfinished Business. Before we get to that though, here’s the book info. I’m delighted to welcome Rosa Fedele, Australian author and artist, with a guest post and details of her new illustrated suspense novel The Legacy of Beauregarde, released tomorrow! The Beauregarde women have lived in the shadow of The Seminary for four generations. And there is nothing conventional about Marcela, or her family. When the decadent and obsessive Gordana acquires the iconic Sydney property and invites a television crew to film the building’s transformation into a magnificent showpiece, strangers suddenly penetrate Marcela’s world, each with a dark secret of their own. 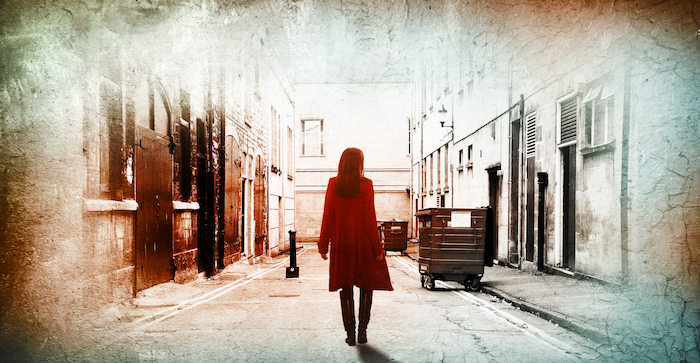 But Marcela conceals a sinister bond which inextricably ties her to the derelict estate, holding the power to not only unravel Gordana’s grand designs, but expose bloodstained treachery, long-buried betrayals and lies. Welcome to my stop on the blog tour for The Letter – Kitty’s Story, organised by Rachel from Rachel’s Random Resources. I’m delighted to welcome Eliza J. Scott. We have a guest post and extract to share, plus a giveaway, but first here’s a little about the book. I’m delighted to welcome Helene to the blog today, with a guest post and extract from her novella, My Sweet Friend. Hello and thank you very much for inviting me to BetweenTheLines! There are small lies and big lies but 18th Century moral philosopher Immanuel Kant famously declared that one should ALWAYS be honest, never tell lies, no matter what! I’m delighted to welcome Sandra Danby to Between The Lines. 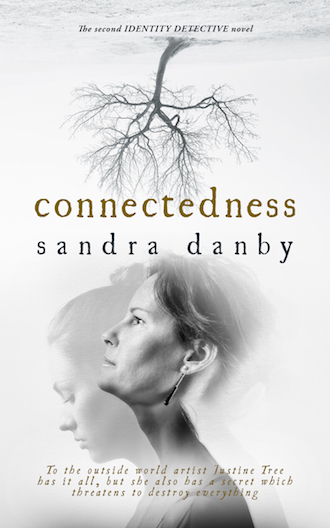 Sandra’s new release Connectedness is due for release on May 10th and is available for pre-order. Before I hand you over to Sandra, here’s a little about the book. Justine’s art sells around the world, but does anyone truly know her? When her mother dies, she returns to her childhood home in Yorkshire where she decides to confront her past. She asks journalist Rose Haldane to find the baby she gave away when she was an art student, but only when Rose starts to ask difficult questions does Justine truly understand what she must face. Is Justine strong enough to admit the secrets and lies of her past? To speak aloud the deeds she has hidden for 27 years, the real inspiration for her work that sells for millions of pounds. Could the truth trash her artistic reputation? Does Justine care more about her daughter, or her art? And what will she do if her daughter hates her? This tale of art, adoption, romance and loss moves between now and the Eighties, from London’s art world to the bleak isolated cliffs of East Yorkshire and the hot orange blossom streets of Málaga, Spain. A family mystery for fans of Maggie O’Farrell, Lucinda Riley, Tracy Rees and Rachel Hore. Today I’m delighted to welcome Helen Parry Jones with an intriguing guest post about her journey to becoming a medium and spiritual healer. First, here’s a little about her book Beyond Boundaries. Beyond Boundaries – A book of true inspiration! Helen Parry Jones shares every aspect of her life with absolute honesty and in a refreshingly down-to-earth manner. Her story is a backdrop to enable her spiritual guide Sam, through daily tutoring from her earliest recollection, to offer wisdom and enlightenment in overcoming the abundance of life’s many difficult challenges, not only for Helen, but for the countless people she meets socially and provides treatment for professionally. Helen reveals how, with Sam’s guidance, she develops a much higher level of consciousness, not only to communicate with another dimension beyond the boundaries of our existence, but whereby she can access the energy that surrounds and connects to our physical form to locate illness and malfunctions within the body with astounding accuracy. An extraordinary life with an exceptional gift. The story of one woman’s power to heal. Retreating from an airborne virus with a uniquely unsettling symptom, property developer Jason escapes London for his country estate, where he is forced to negotiate a new way of living with an assortment of fellow survivors. Far in the future, an isolated community of descendants continue to farm this same estate. Among their most treasured possessions are a few books, including a copy of Jane Eyre, from which they have constructed their hierarchies, rituals and beliefs. When 15-year-old Agnes begins to record the events of her life, she has no idea what consequences will follow. Locked away for her transgressions, she escapes to the urban ruins and a kind of freedom, but must decide where her future lies. These two stories interweave, illuminating each other in unexpected ways and offering long vistas of loss, regeneration and wonder. The Book of Air is a story of survival, the shaping of memory and the enduring impulse to find meaning in a turbulent world. Welcome to Authoright’s Spring Reading Week 2018. Today I’m delighted to welcome Alice Graysharp with an extract and exclusive short story prequel, but first a little about the book. The keeper of family secrets, Patricia Roberts grows up isolated and lonely. Trust no one and you won’t be disappointed is her motto. Three men fall in love with her and she learns to trust, only to find that their agendas are not her own. With secrets concealed from her by the ultimate love of her life, and with her own secret to keep, duplicity and deceit threaten their relationship. In a coming of age story set against the sweeping backdrop of the Second World War – evacuation, the Battle of Britain, the Blitz, buzz bombs and secret war work – Patricia ultimately has to decide whether to reveal her deepest held secret for the sake of her future happiness. I’m delighted to welcome Rachel Amphlett with a guest post and extract from her new book, released yesterday. Call To Arms is the fifth book in the Detective Kay Hunter crime thriller series. So without further ado, it’s over to Rachel…. I’m often asked by readers if it’s possible to read the Kay Hunter books as standalones, or whether it’s best to start at the beginning with book one, Scared to Death. In truth, each of the stories can be read separately and any order because the main crime is always solved, but I think to get a real sense of how Kay Hunter’s character has developed over five books, it is better to start at the beginning. What do you write and why? My job is to entertain. I’ve had a crazy accidental life which offers lots of fodder to work from; fashion modelling, marrying a rock musician, working with musicians, film producers, footballers, golfers, tennis players, jockeys, oil moguls, royalty, charity workers, prison wardens, forensic teams, intel analysts, crown prosecutors, prisoners, victims and as a Police Crime Investigator. I’ve been married and divorced twice (got drunk and married in Vegas), brought up a wonderful (Contemporary Artist) daughter and am owned by three dogs. The end product of my journey thus far is that I write steamy Psychological Thrillers and gritty Paranormal Romance… and prefer dogs to humans, mostly (smile). 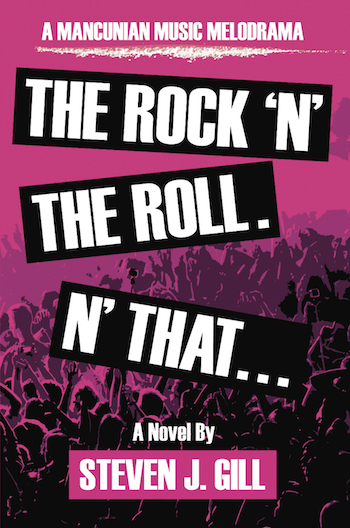 I’m delighted to welcome William Myers, with a guest post about the ups and downs of getting his first book published. It’s also the release day of his second novel An Engineered Injustice. When a passenger train derails in North Philadelphia with fatal results, idealistic criminal defense attorney Vaughn Coburn takes on the most personal case of his young career. The surviving engineer is his cousin Eddy, and when Eddy asks Vaughn to defend him, he can’t help but accept. Vaughn has a debt to repay, for he and his cousin share an old secret—one that changed both their lives forever. As blame for the wreck zeros in on Eddy, Vaughn realizes there’s more to this case than meets the eye. Seeking the truth behind the crash, he finds himself the target of malicious attorneys, corrupt railroad men, and a mob boss whose son perished in the accident and wants nothing less than cold-blooded revenge. With the help of his ex-con private investigator and an old flame who works for the competition, Vaughn struggles to defeat powerful forces—and to escape his own past built on secrets and lies. Thousands of families love reading “The Children’s meditations: In my heart” at bedtime. Children today sleep one hour less than we did 25 years ago. It might be the same in your country? We need to teach our children to handle their thoughts and get enough sleep. The meditations in this book help the kids move their focus away from their many thoughts that often keep them awake, and down into their bodies. When the busy brain gets less attention, and the tired body gets more, the children fall asleep. They are tired and they need sleep to grow, to develop, and to be happy. As parents, we give our children and their friends an important gift by making sure our children get enough sleep. And what better way than with a heart full of love… Benefits: Your child finds inner peace. Your child falls quickly and easily asleep with his/her heart full of love. You will have a wonderful time together and create a loving language full of symbols of love. Your child learns about self–love. Your child learns to tackle everyday challenges with love. Your child learns about empathy, love, cohesion and gratitude. You fill your own heart with love at the same time. We truly believe that the world needs these stories of love and that we can make the world a better place, if we teach our children how to feel at home in their bodies and understand that the most beautiful love grows inside them. So who exactly is Sukie McClaren? Answers from Heaven will be an authoritative, modern up to date classic book about afterlife communication. Through true life stories of ordinary people who have had paranormal experiences, bestselling author Theresa Cheung and medium Claire Broad will show the various different ways that heaven is trying to answer our prayers, offer us comfort and provide proof of survival. I’m very happy to welcome Rebecca Stonehill, with an interesting and thought provoking guest post recalling five books that have most influenced her. So without further ado, over to you, Rebecca…..
I’d be surprised to hear of a writer who isn’t first and foremost a reader. For writers, words are our lifeblood, both a joy and an addiction, whether in written or read form. So I’d like to share with you five books that have, over the years, affected me deeply in some way. I’m very pleased to welcome Margaret Skea, with a guest post and extract from her new book, Katharina: Deliverance, which is released today. Happy release day, Margaret, and over to you…. Sidetracked into a different world (and time). So there I was, in March 2016, fresh from a month on a Hawthornden Fellowship – an all expenses stay in a 17th c Scottish castle with nothing to do but write. We were very well looked after – cooking, cleaning, clothes washing and so on all done for us – the only ‘rule’ a rule of silence in the castle from 9.00am – 6.30 pm. That, and the surroundings, made for an incredible work environment and having gone with heaps of research material, but not even the most sketchy plan for my next novel, I came home, after seventeen days of actual writing, ¼ of the way through Book 3 in my Scottish historical fiction series. It seemed my next nine months were taken care of.